FoneMonitor is the most reliable iPhone monitoring tool that lets you supervise every activity. You don’t need to jailbreak or install any app on your iPhone or Android phone. With this tool, you will be able to track iPhone or Android phone effortlessly by just doing a small setup. The tool can track SMS, call logs, Facebook, WhatsApp, and other social media apps. This iPhone data tracker is the best iPhone tracker that you will ever find. 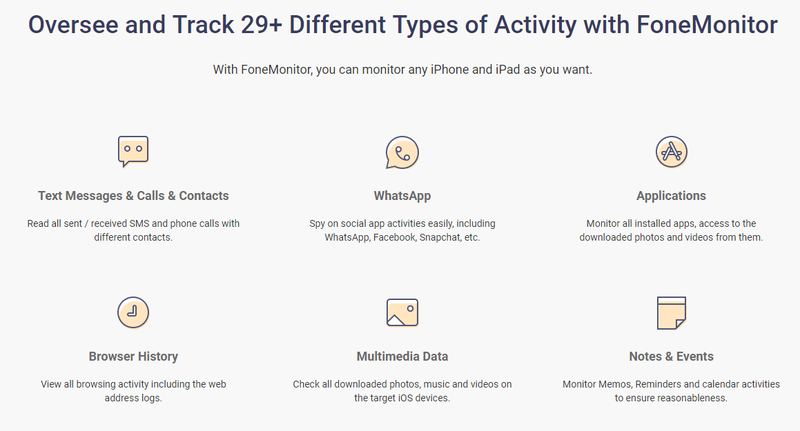 Your FoneMonitor account lets you keep an eye on all the activities being done on the iPhone or Android phone you are tracking. You can use your FoneMonitor account in the mobile’s or computer’s browser. You must keep in mind that you must verify the phone by installing FoneMonitor on that. It offers powerful spy features with simple operation. If you have this tool, you will be able to spy the activities of your kids and employees on their iOS devices or Android devices and that too without jailbreaking or installing any app. 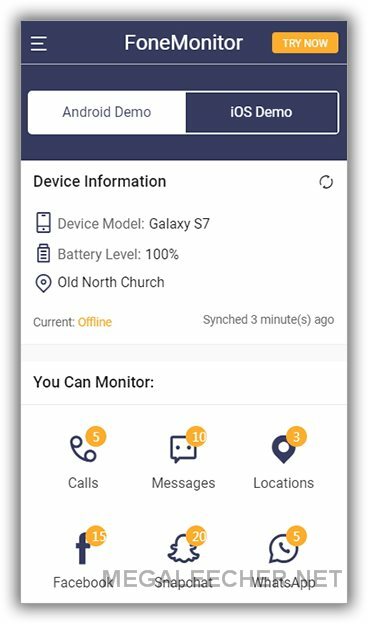 With FoneMonitor, you can easily read the messages and iMessages of the Android or iPhone device being tracked. Moreover, you can also download and play the MMS sent or received. FoneMonitor also lets you find the exact location of the phone that you are monitoring. Along with this, you can also find the route history of the same device. While tracking any device, phone calls are the first things that you would want to track. On the tracking dashboard, you will be able to find the detailed list of all the received and made calls. You would definitely want to spy WhatsApp because it is undoubtedly the global leader of all the chatting apps. It can reveal a lot of things about your kids or employees that you might want to know. You will be able to read the whole of the chats and can even check the attachments. It is very important for all the parents to keep a check on the contacts of your kids and to know with whom they are in constant touch with. You must know about their friends and other contacts to have an idea of the company they are in. Your child’s company is very important because it has the capability of making or breaking your child’s future. 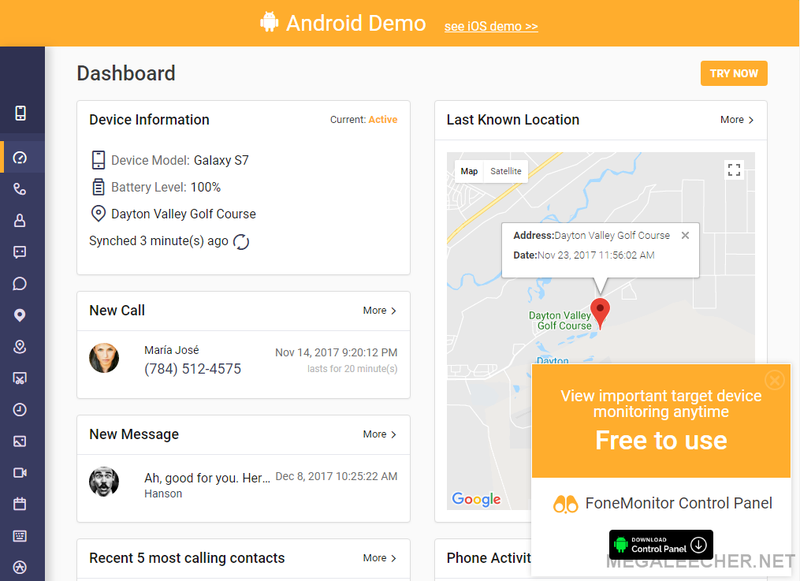 FoneMonitor lets you easily check the details of the contact list. In addition, if you want to download the data for your use, you can do that as well. FoneMonitor is a helpful app that can help you in knowing the mobile applications that your kids or employees have downloaded on their phones. If you have given a phone to your employees, you must take interest in knowing the apps that they have downloaded in their phones so as to make sure that they have downloaded games or chatting apps. Similarly, kids are prone to downloading apps for illegal activities. You must use FoneMonitor to know the installed apps on their phones. Along with this, you can also know the total number of apps being downloaded and the photos that have been downloaded from or uploaded to that app. This is the best feature of FoneMonitor that you would definitely love. It allows you to check the browsing history of the phone you are monitoring. You will even be able to see the bookmarks of the browser. You can also know which URL was opened at what time and how many times. You will be able to monitor your employees and kids better with this tool. FoneMonitor lets you check the videos and photos on the phone so that you have knowledge of what your kids are watching on their phones. Keep a check on the Geofence locations and get an email notification whenever the phone being tracked enters Geofence locations. This feature can only be accessed for Android phones for now. Along with his, you will also be able to track the calendar activities and read reminders and memos. If you are searching for the query like how to monitor phone, there are some steps that you will have to follow to monitor a phone. Step 1: Create your account on FoneMonitor using your email address and password. Step 2: Verify your iCloud Account. Provide the necessary information like the name, age and the device. Verify the iCloud ID on the target device to start monitoring. Step 3: Monitor the iPhone and iPad activities. In a short time, you will be able to see the detailed data of the device being monitored. FoneMonitor is user-friendly and you will be able to enjoy all its features with great ease. It is also not very expensive if you are in need of it. The tool will help you in spying everything that your kid sees or uses. It will also help you in knowing everything that your employee does on the phone he has been given for work by the company. Hence, FoneMonitor is the best alternative for you if you want to track Android phone and iPhone.